Did you know that the Korean beauty secret, Snail Essence, can now be applied to hair? 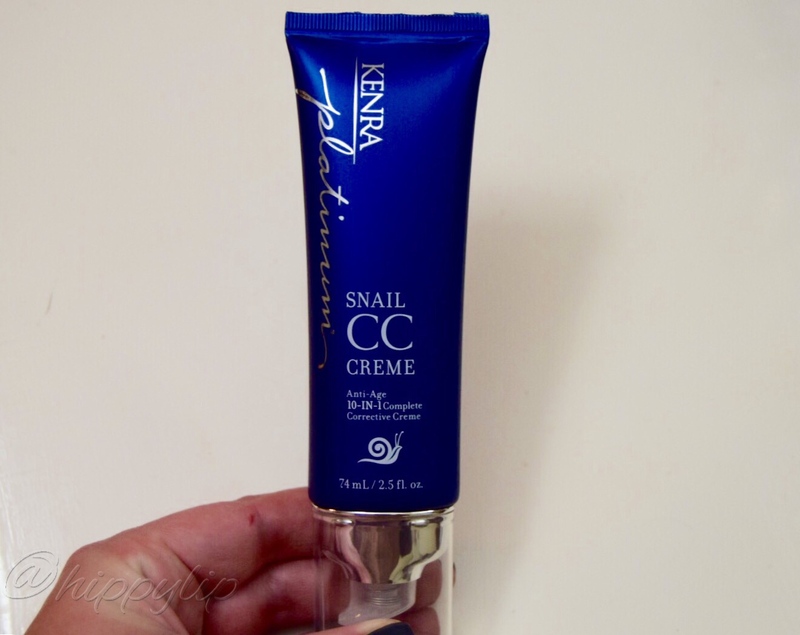 I’ve tried many snail essence products on my skin but never on my hair and that’s because Kenra Platinum Snail CC Creme is the 1st professional hair care product infused with Snail Essence. It contains a highly concentrated blend of proteins to bring your hair back to life. Chilean farmers noticed that their hands were significantly softer after handling snails. The essence functions as a protective layer of the snail’s skin and has since become the #1 anti-aging ingredient in Korea. No snails are harmed in making this product. Snail essence is a natural product of a snail farm and used to be disposed of. Now that snail excretion has made it into beauty and now hair products with benefits, it’s no longer disposed of and I would imagine it’s in high demand. I wonder how many snail farms exist. 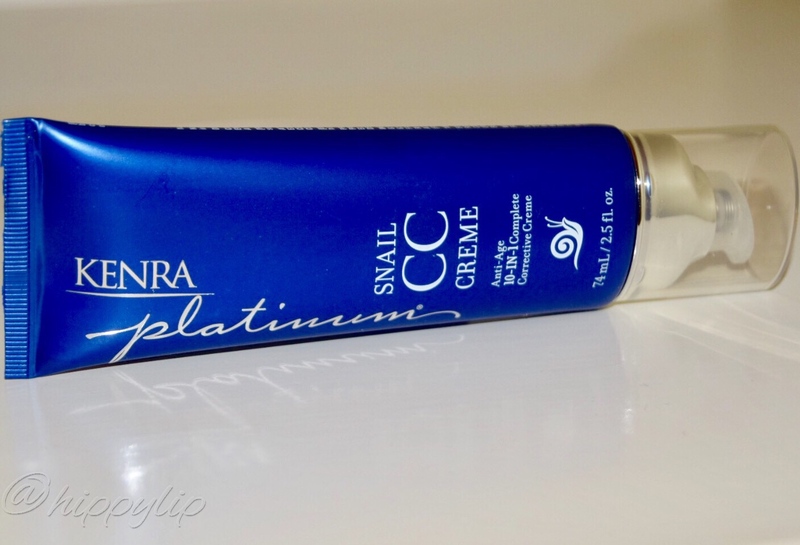 Kenra Platinum Snail CC Cream is a hair product designed to rejuvenate and prevent the signed of aging hair. It arrived in a pretty blue tube with a pump dispenser. The tube contains 2.5 ounces of product and this seems like a lot for my fine hair. The dispenser is easy to use and one pump is plenty. It scent is a strong floral perfume. The texture is creamy and on thicker side, which makes me think a small amount is required. The directions say to apply evenly throughout wet or dry hair and style as desired. This luxurious 10-in-1 corrective creme weightlessly restores and prolongs youth by fighting all 10 signs of aging hair. You now have the best anti-aging skincare for your hair. The scent is a bit overwhelming for me. I am not a fan of strong perfume like scents, however I noticed that when the hair dries it dissipates into a lighter and cleaner scent. The cream is pretty thick, so I use a one to two pumps. I have tried this on both wet and dry hair and I find that I like one pump on the ends of my dry hair. It makes my hair visibly more shiny and the winter fly aways are gone. I also feel that it’s great for straightening the hair as a heat protectant. I’ve been using this for two weeks and it lives up to the claims of boosting shine, tames frizz & fly aways, hydrates, provides heat protection, paragon & sulfate free, and definitely for all hair types. I haven’t used it long enough to notice any long-term effects like decreased breakage, improved elasticity, or decreased coarseness. While it would work on any hair type, the amount will vary. For fine hair, you need a very small amount (one pump) and for coarse hair you would need at least two or three pumps. I would recommend this for heat protection, frizzy hair, or boosting shine. Disclosure: This product was sent to me in exchange for an honest review. All opinions are mine & 100% honest. What do you guys think of snail essence for the hair? Give Me Some Lip! Previous MLA Podcast Episode 17 Has A Hidden Gem! Next D’OR24K Prestige Non Surgical Lifting Syringe, Ready For A Shocker? This sounds great except for the scent! I can’t deal with heavily scented products! I have to get on the snail wagon 🙂 Sounds interesting. I cant stand strong scents in products, especially for the hair as I would smell it on me all the time. I have thin hair and I usually try to avoid rich cream based products, my hair just cant handle it, for the most of the time. I have fine hair too so no worries, this works in smaller amounts. Oh Hippy ,,,,,,, this is the one yeah ? xxxx i need to understand WHY snail essence ? More …. i get how strong their shells are …. There’s CC creams for everything now, not just the face it seems! 😉 I have a CC hand cream! 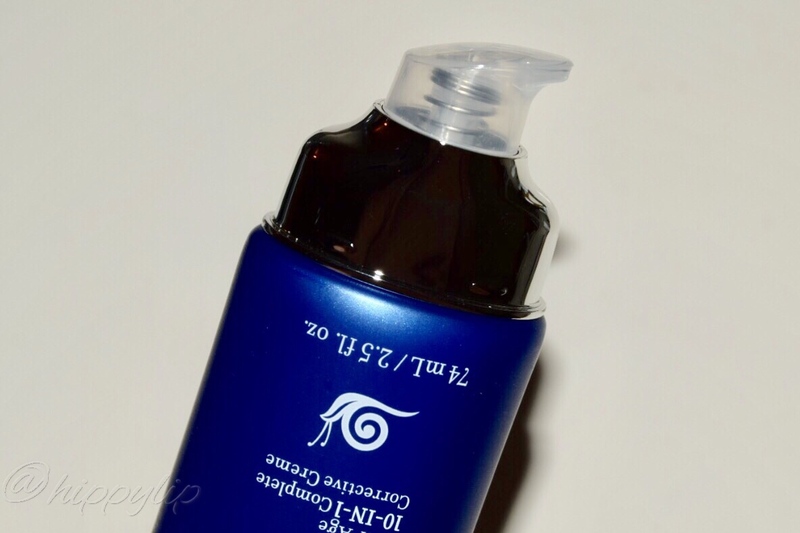 Snail essence is neat – I tried a snail essence serum and it was really calming for my skin. I would love to try the shine mist. I’m not a fan of the smell and so close to my nose 😏. Chemical burns are not fun and I’m usually diligent in checking ingredients but this was a deadline rush….I figured snail essence was neat too. Lol FYI it works for the hair on my head too. I know…..I didn’t realize snail essence had so many benefits for hair!! Thank for reading, Amy! Enjoy your weekend.